Whatever the weather, Ireland can expect a serious amount of cool in its capital this summer. On June 13th, 500+ young coders from Ireland and around the world will fly in to the biggest Coolest Projects Awards @coolestprojects yet at the RDS to showcase their IT skills. Expect cool apps, games, websites, robots , drones and ‘hacks’ to make our lives run better. Coolest Projects 2015 offers coders aged 7 – 17 the chance to submit individual or group projects using their creativity and skills with computer languages and hardware to build cool apps, games, websites and robots. It is the largest global event of its kind. Previous winners of Coolest Projects included 10-year old Lauren Boyle (currently EU Digital Girl of the year), Thomas Carrigan (Robot creator), and 12-year old Niamh Scanlon, who last year built an app to allow users of electric cars find free charging points and see whether or not they are currently available. This year, judges are looking to be wowed by projects ranging from Scratch to engaging websites and games, to awesome apps, to jaw-dropping hardware hacks. The awards are open to all projects created by CoderDojo @CoderDojo members. An new “Evolution” category has been included this year to cater for young people with very sophisticated projects incorporating advaned coding languages or hardware or software. Shirking the trends experienced in other tech related events, 30% of the young coders participating, will be girls. The competition element is fully inclusive and interactive, all young people who apply to participate will be expected and all will have the opportunity to demonstrate the work on the day. In line with CoderDojo’s philosophies, the event itself is also fully inclusive, neither the participatns or attendees will have to pay to attend. The event is also open to those outside of the direct CoderDojo community, so that they can better understand how the movement operates and how they can get involved. Younger people attending will be inspired to seek out opportunities to build tech skills when they see and experience what their peers are capable of! Paul Phelan, Operations Director Corporate Affairs Group EMEA at Intel Ireland, co-founded Coolest Projects and has witnessed its enormous growth from just 15 entries in 2011 to an anticipated 500+ entries this year, with coders attending the event from all over Ireland and from overseas Dojos, representing countries including; the UK, Italy, the Netherlands, Poland, Romania and many more! 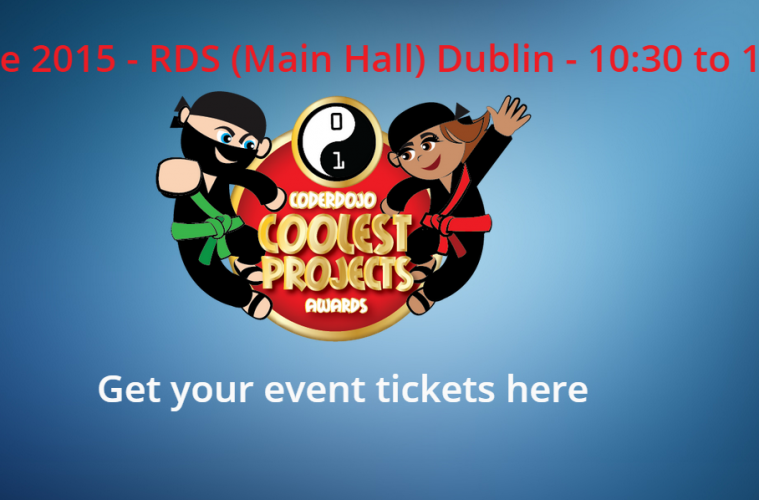 The objective of The Coolest Projects Awards is to inspire creativity from within the global CoderDojo community, according to Noel King, Coolest Projects Leader and Champion at CoderDojo Dublin City University. Previous ArticleWin A Weekend Break For Two!